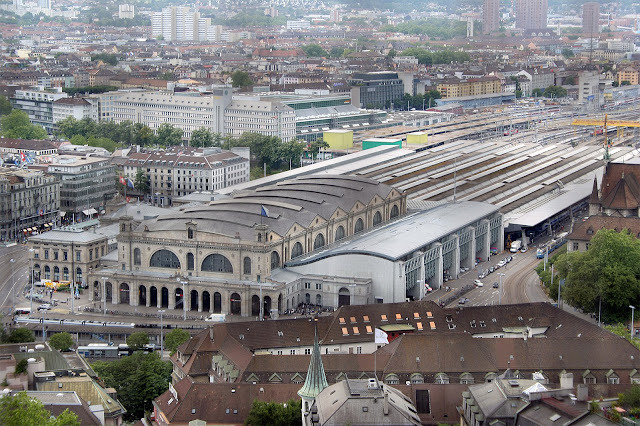 You know Zürich Hauptbahnhof, it has this huge empty space in the main building, where they host events like Christmas markets, Oktoberfest and even concerts. But for a few weeks at a time, it is just empty. The first time I was there it was kind of evident that this hall used to have tracks where all the trains ran in. I was always wondering how it must have looked like at that time with steam-engine locomotives. So today I did the research. 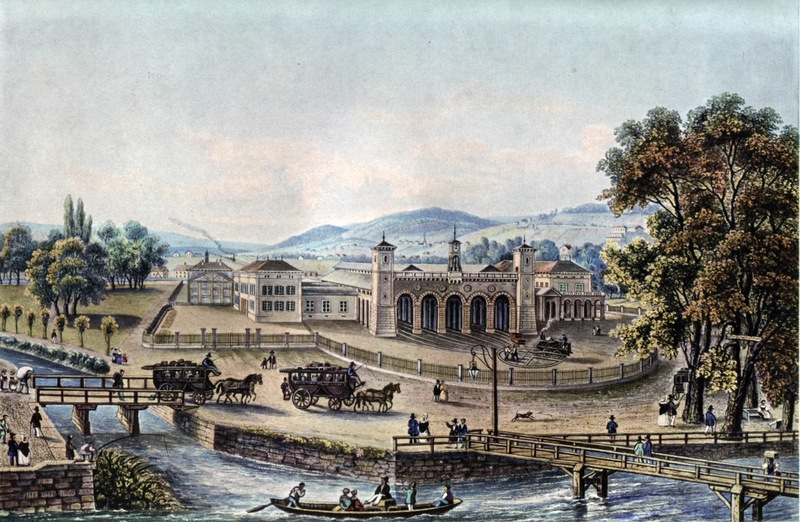 The earliest picture I found is from 1847. 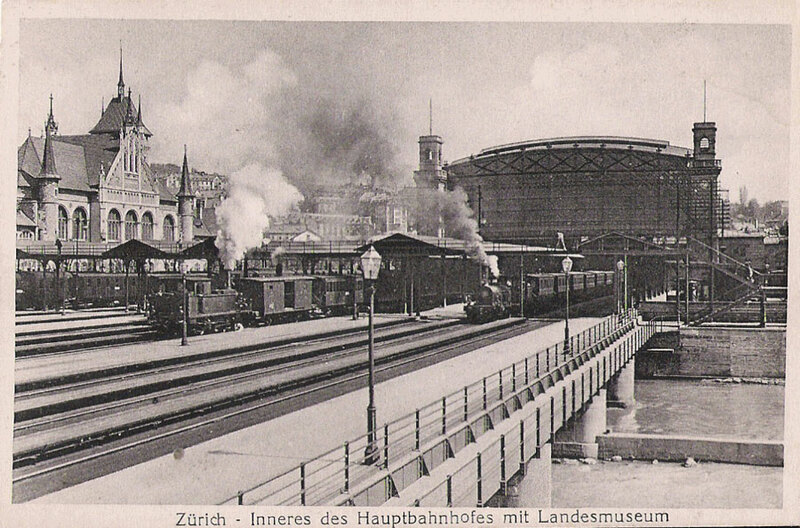 Of course it was simply called 'Zurich bahnhof' (Zurich train station) back then instead of 'Hauptbahnof' (mainstation). There was only one track coming to the station on a bridge over the Sihl. The track then split into 5 in the station only to merge together again in a turntable. Note how back then there were no electrical locomotives that the driver could command from either end of the train. Today it doesn't matter if the locomotive is at the end of the train or the front, but at the time of steam powered engines, they had to turn the locomotive and drive it back to the front of the train. 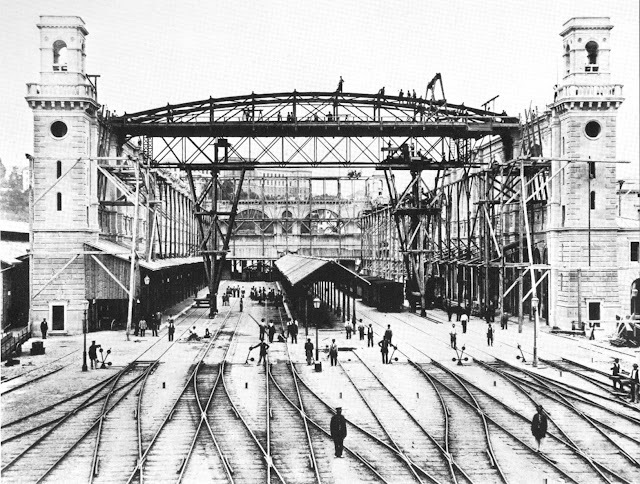 In 1870, they started rebuilding the main station building, replacing it with a train shed spanned by iron trusses, covering 6 tracks. This is the building shed from the back, photo taken from the side of Sihl. The almost finished main entrance in 1870, where the tram station Bahnhofplazt/HB is today. The station was named Zürich Hauptbahnhof in 1893. 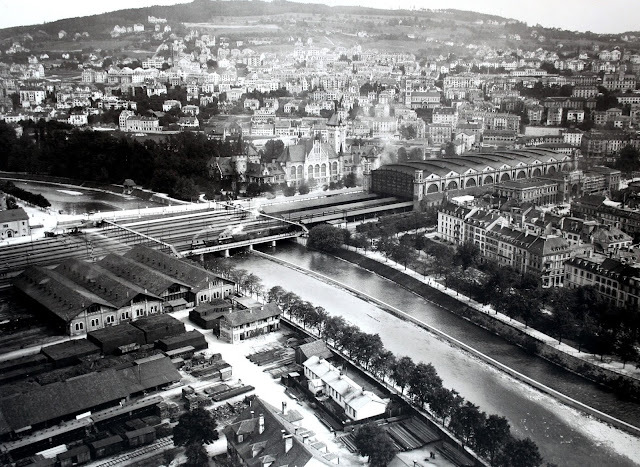 In 1902 SBB took over the management of the Swiss railway. 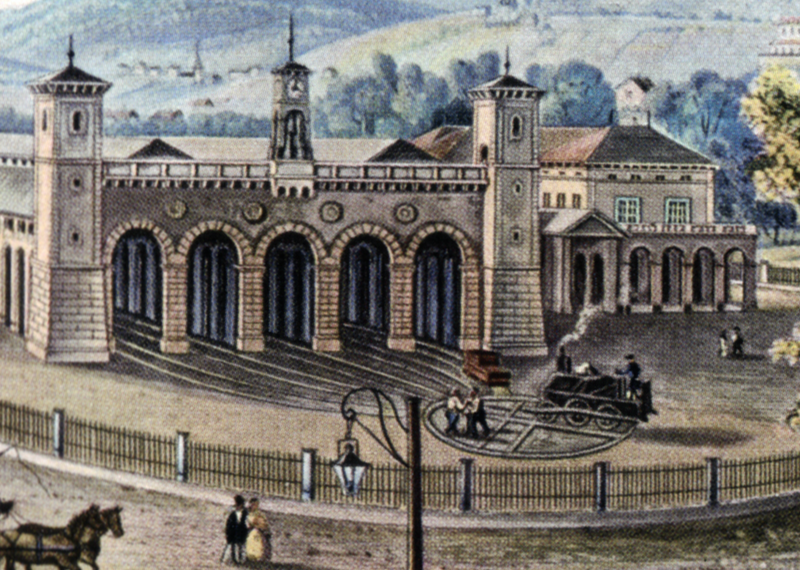 This was also the year when they took off the tracks in main hall and left it empty for pedestrians. 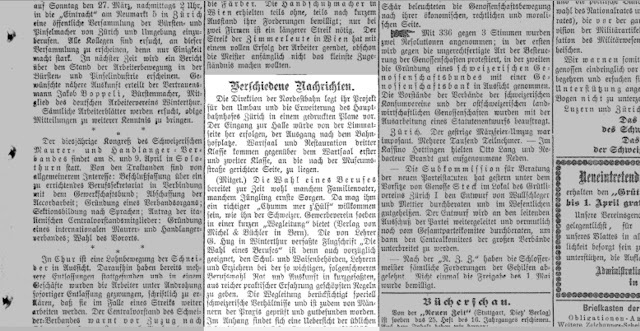 I found a newspaper article in Grütlianer from 1898, March 22. I think they talk about these plans. Although neither the language, nor the font type is easy to read for me. 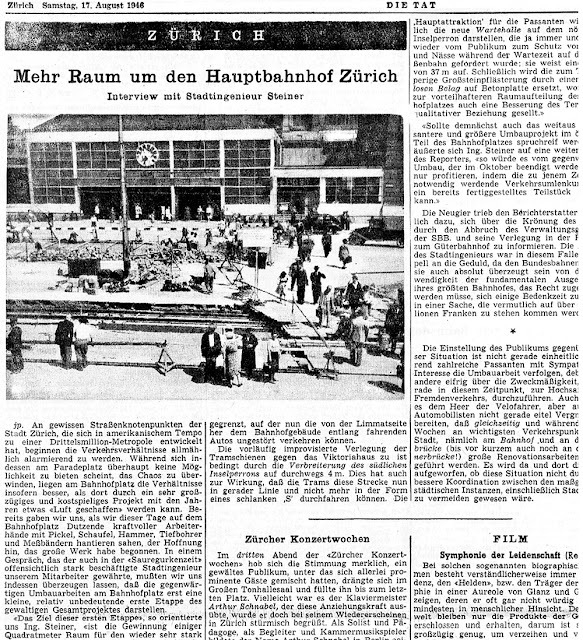 The Directorate of Nordostbahn presents its project for the construction and extension of Zurich main station in a printed plan. 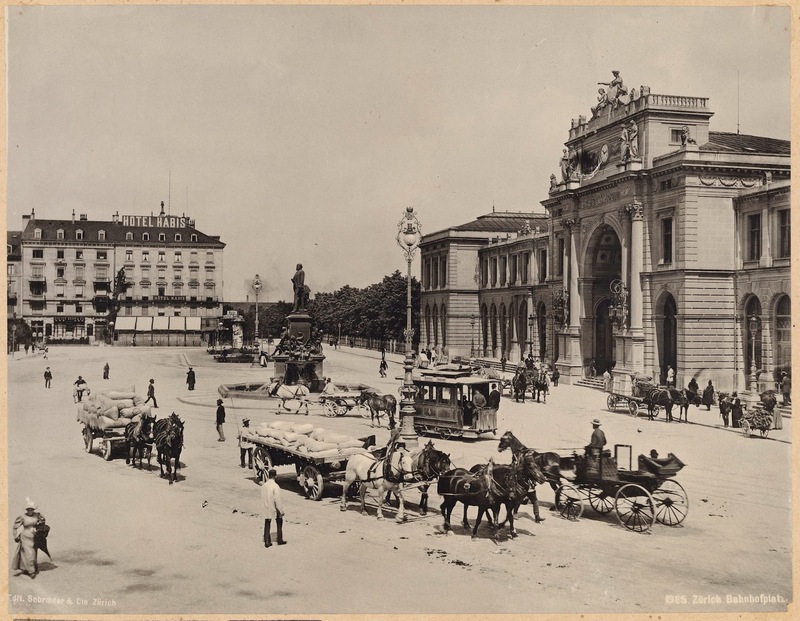 The entrance to the Hall would be from the side of Limmat, the exit next to Bahnhofplatz. 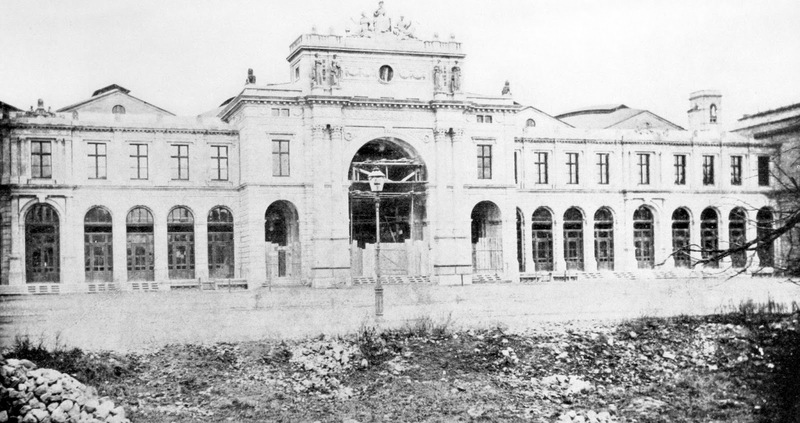 The finished station in 1907 already looking impressive and huge. 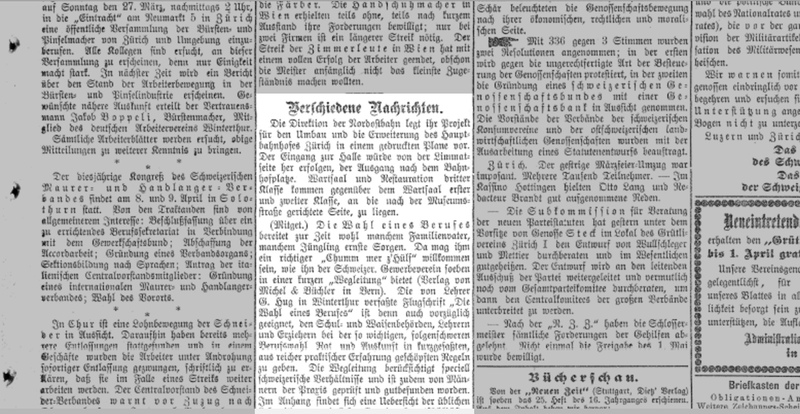 Another article from 1946, August 17, Die Tat talks about expanding HB even more. Now that the electrification of the railway network started the traffic is bigger and there is less infrastructure needed for the trains close to the station. "The goal of this first stage," commented Steiner, "is the acquisition of a few square meters of space for the once again very strong motor traffic, but also for pedestrians, who will no longer be exposed to wind and weather without protection, when they get off the trains, often with parcels and suitcases in the hand, waiting for the tram to take them to the hotel or home. The building of the Federal Railways in the north, the Victoria House in the south, and the Habis Royal Business House in the West, set firm boundaries to our present reconstruction plan and determine the space within which we must move. What can be done, however, is to make the very bad traffic of Bahnhofplatz station less busy. Once space for parking cars has been gained by abolishing the long pedestrian island in front of the Habis, which had long ago no practical value; The left-over narrow island is still a protection for pedestrians who are striving towards the west, to Löwenstraße, from the direction of the train station. Nowadays, there are more than 2900 trains running through Zürich HB daily. P.s. : The Sihl river passes through the station in a tunnel, with platforms above and below the river. 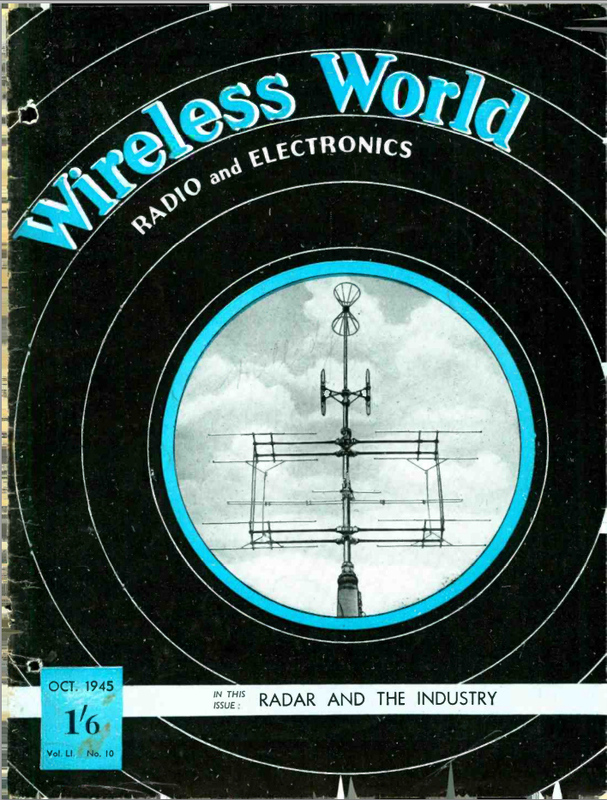 Arthur C. Clarke wrote the following article in 1945 for the magazine called Wireless World. He suggests to shoot up 3 "rocket stations" to Earth orbit that would give the whole world radio coverage. This was only 3 years after the first rocket ever traveled to space. At that time, rockets were not strong enough to take anything close to Earth orbit. 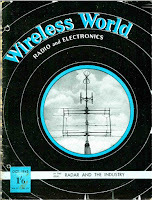 It is almost certain that he was the first person who ever thought about global radio coverage from space. It took an other 12 years before Sputnik 1, the first actual satellite was put in place. 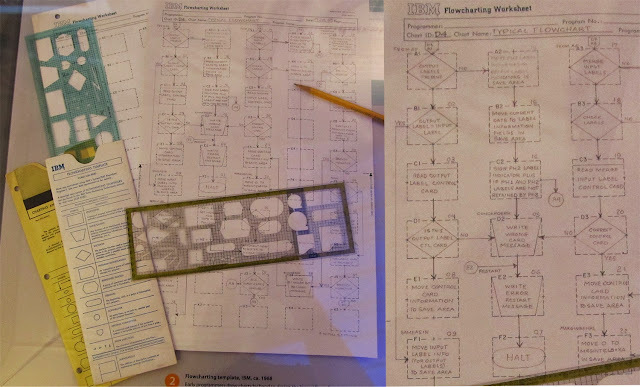 It will be possible in a few more years to build radio controller rockets which can be steered into such orbits [stable Earth orbit] beyond the limits of the atmosphere and left to broadcast scientific information back to earth. A little later, manned rockets will be able to make similar flights with sufficient excess power to break the orbit and return to earth. So how many satellites are on Earth orbit currently? 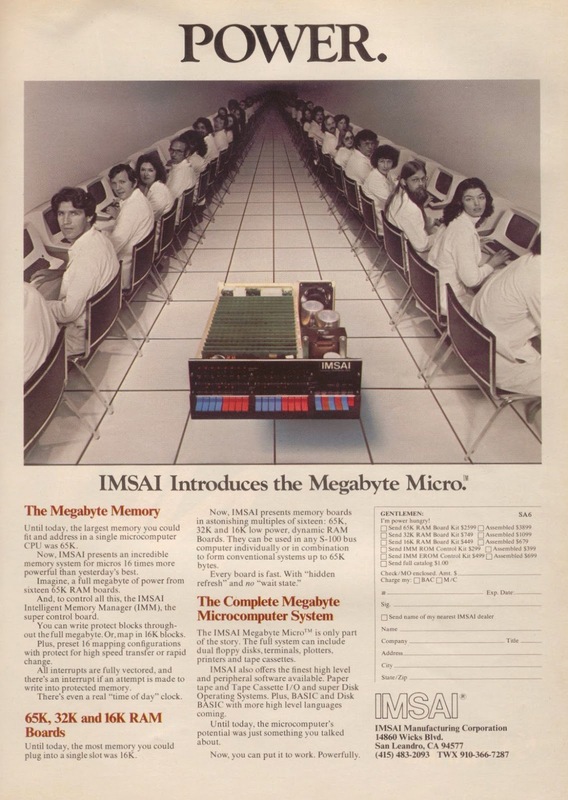 Based on Wikipedia, only a few hundred satellites are currently operational. But there are thousands of old, unused satellites and satellite fragments that orbit the Earth. Not to mention all kinds of rocket debris. 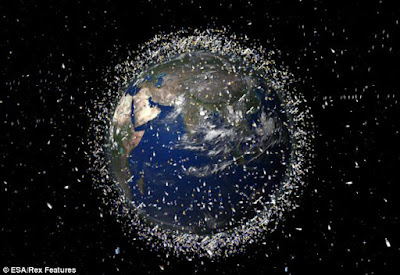 I think it looks scary how much "space junk" we left in space. Here is a computer-generated impression of the thousands of objects in orbit around Earth. P.s. : Fun fact: Arthur got 50$ for this article. He says that was good at the time. You can hear him say this in this youtube video. 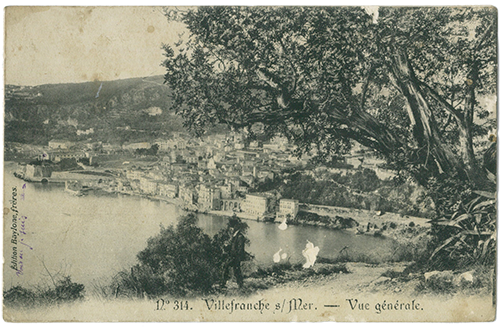 Reymond Molle was a French soldier in the First World War. 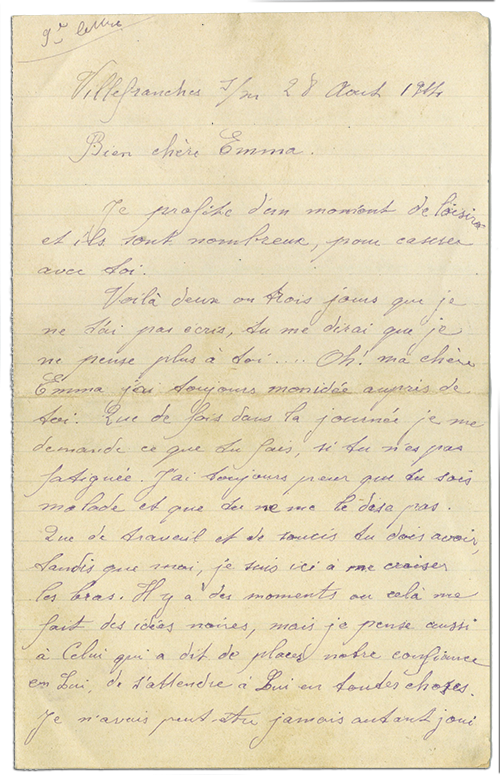 During his service he wrote nearly 100 letters to his wife Emma (26 years old), who he left home with their little son Georges (less than 1 year old). 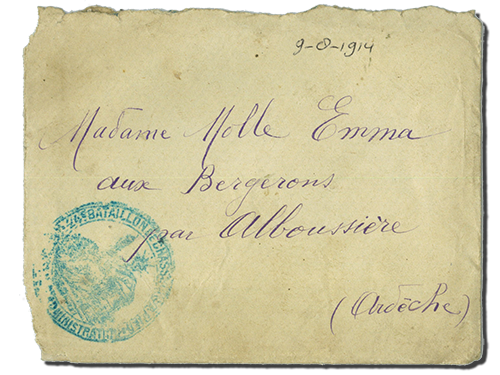 Emma carefully kept all of these handwritten letters and postcards for all her life. 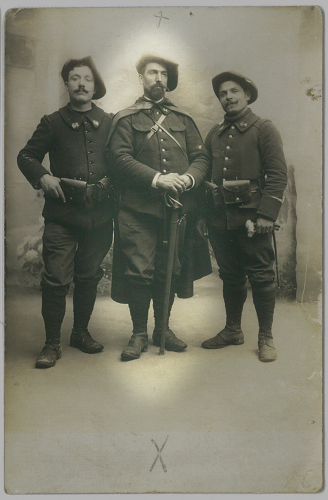 They have recently been found, typed in, translated to English and posted on lettresdunsoldaten.wordpress.com. Yet, they have no chance of seeing each other. Oh! Emma dear, what a shame it is that my battalion is so far away, I would easily be able to pay you a visit, but from here it is just too far. This we must not even think about and you should absolutely not entertain the thought of such a voyage especially at a time like this. Those who are close by go home often, or their wives come to see them. What a change there is in the barracks as compared to when I was on active duty. There are several of these young ladies who come with their babies. 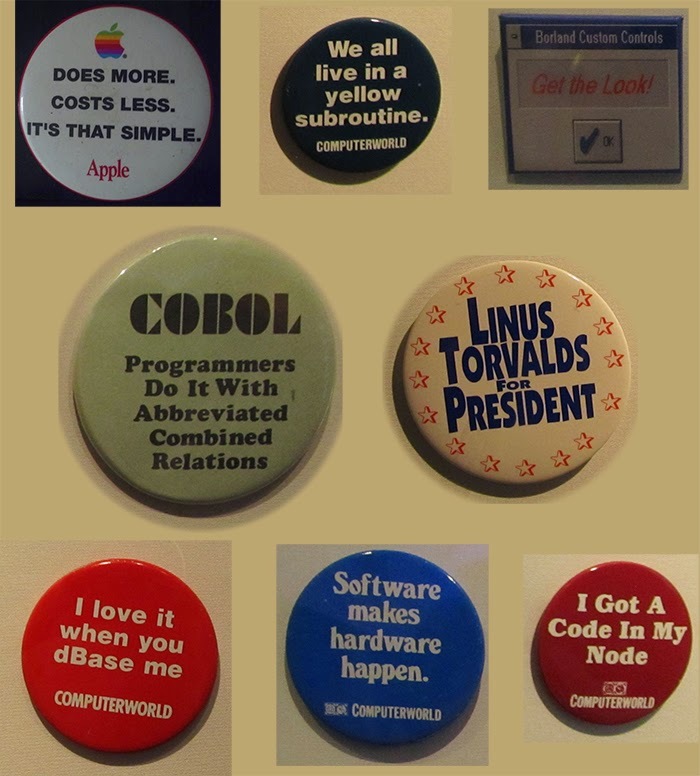 Some of them are just like Georges. In the beginning I had a heavy heart, but now I am glad that there is at least someone who can see his family. There are days where there are about 5 or 6 toddlers walking in front of my door. Although this brings back very strong memories of when I was with the two of you, it makes my stay here a little less sad. While I await the moment when I can write you a longer letter, I send you this card. It is a few years now since this photo was taken. You will understand better when you look closely at it. Do let me know if you recognize anyone. Yesterday I sent you a card, I think you’ve received it. 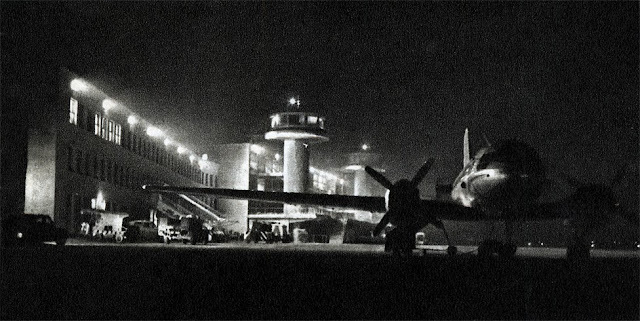 This photograph was taken during my time at the military reserve. I remember it like it was yesterday. But I didn’t think that I would find them again after such a long time. It was Vignal who had seen them first. We had to change places, remove the beds and place the mattresses on the floor so that in each room there would be enough space to accommodate more people. 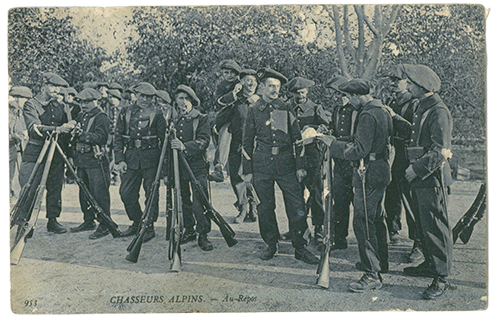 We were told that in a few days the men would no longer have mattress because they will be used for caretaking of the wounded. They will once again sleep on the straw. This will be a little harder, but more comfortable than those who sleep under the stars on the battlefield. Pourret’s father wrote to me asking for the registration number of his son. I realized that it must be quite a long time since he received anything from him. However, we have not had any reports here at the Unit that he was either dead or missing. Within the next few days I will send them a letter to reassure them again. Goodbye for tonight. It is 10:30 pm. Tomorrow morning if I have the time I will write some more. P.s. : If you decide to read them on the mentioned website, I have two tips for you: 1. Do NOT read the introduction at the side of the page if you don't want to know how the story ends. 2. Right click on the text written in italics, choose "Inspect element" and uncheck the check-box next to "font-style: italic;". It's very hard to read that font type otherwise. 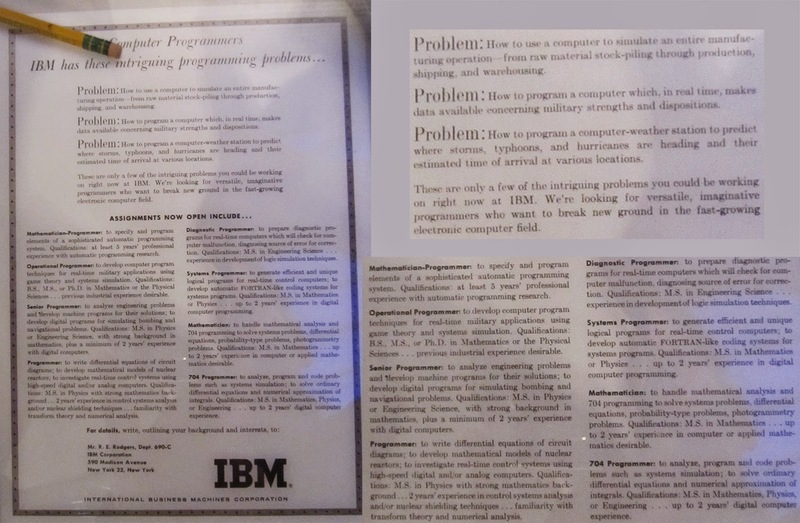 "The advent of the stored-program computer created a profession that had never existed before: "computer programmer". Recruiting and training to meet the growing demand started in the 1950s, but there was no clear test for ability beyond "problem-solving skills", few textbooks to read, and no college courses to take." FORTRAN coding sheets and punched cards. 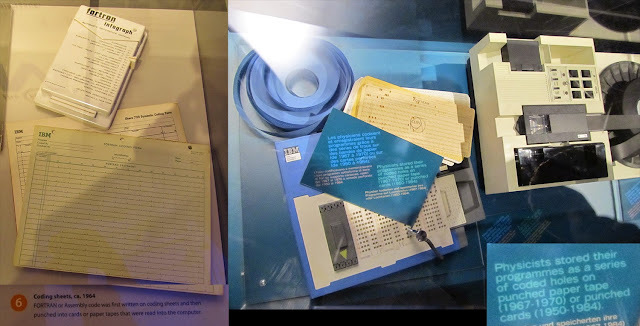 This is an IBM 80-column punched card. Every column represents 1 character (1 byte) so every card can store up to 80 characters (80 bytes). And every card translates to 1 singe line of code. The holes are placed according to the EBCDIC code. The time when you absolutely had to plan ahead before starting to write code. 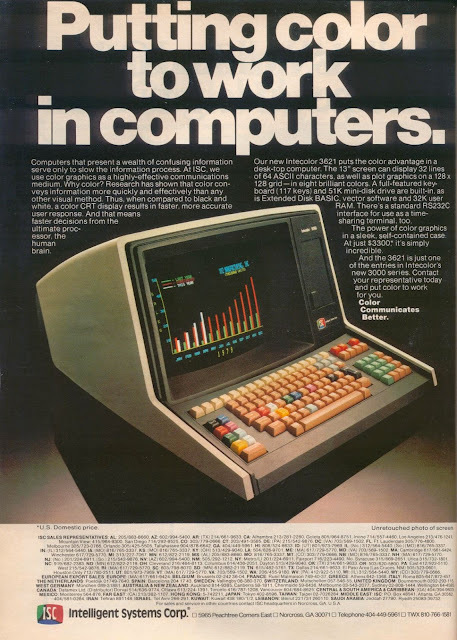 1979, Are you ready to have your first Personal Computer? "It doesn't do your thinking for you - it helps you learn to think. Think about it!" "Research has shown that color conveys information more quickly and effectively than any other visual method." 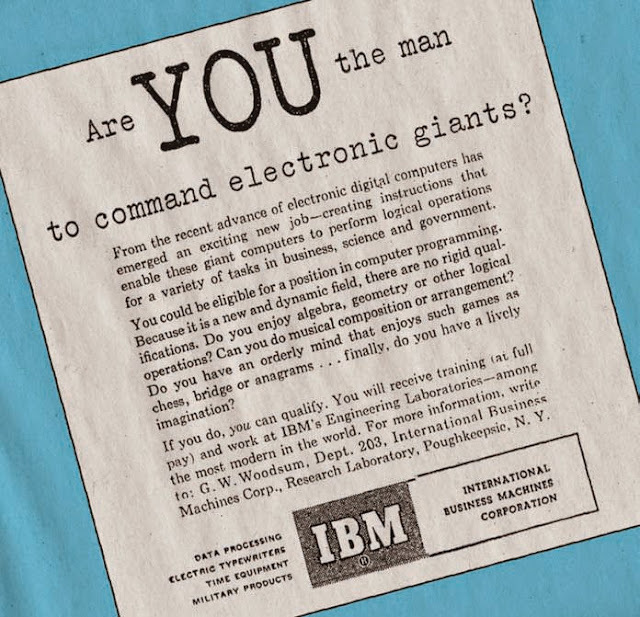 1989, The first web server - DO NOT POWER IT DOWN!! 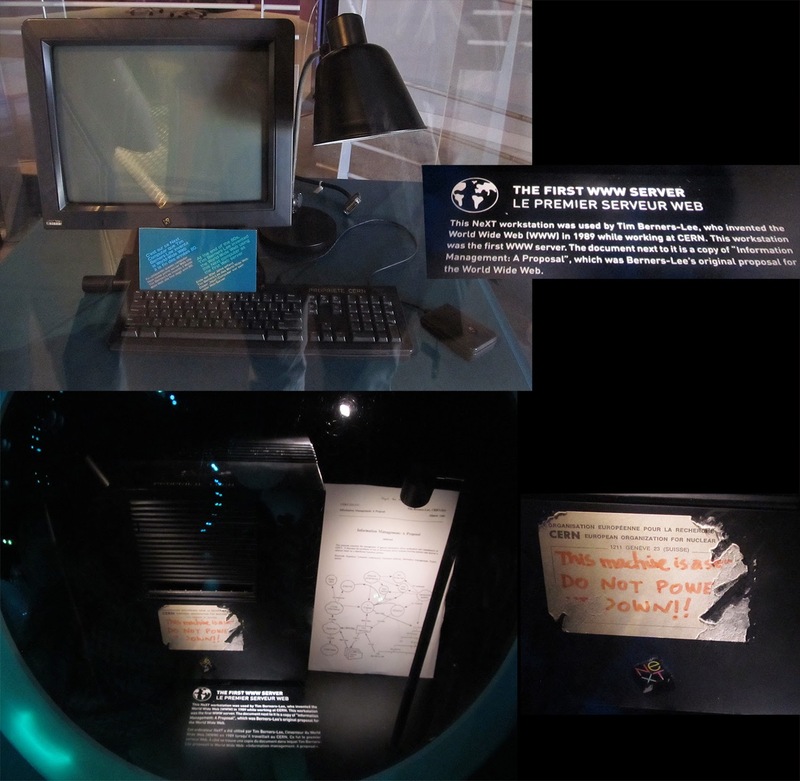 At the end of the 80s, Tim Berners-Lee invented the World Wide Web using this NeXT computer as the first Web server. ...and it's not just for boys either. [...] Peter doesn't even have to help me any more!" 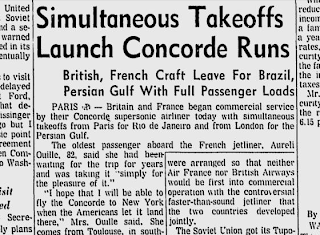 PARIS - Britain and France began commercial service by their Concorde supersonic airliner today with simultaneous takeoffs from Paris for Rio de Janeiro and from London for the Persian Gulf. 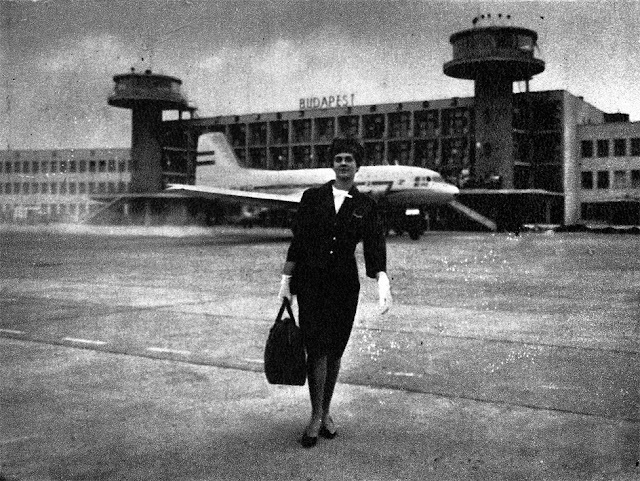 The oldest passenger abroad the French jetliner, Aureli Ouille, 82, said she had been waiting for the trip for years and was taking it "simply for the pleasure of it." 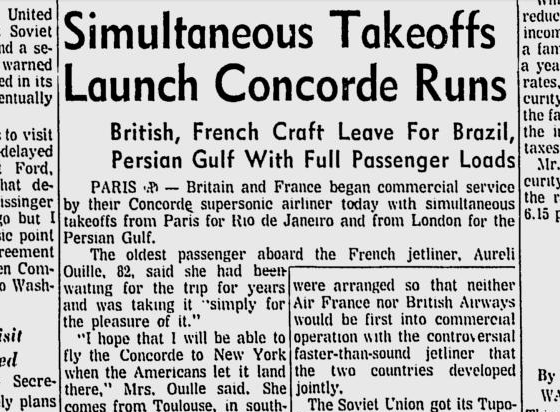 "I hope that I will be able to fly the Concorde to New York when the Americans let it land there," Mrs. Ouille said. She comes from Toulouse, in southern France, where the French plane was built. 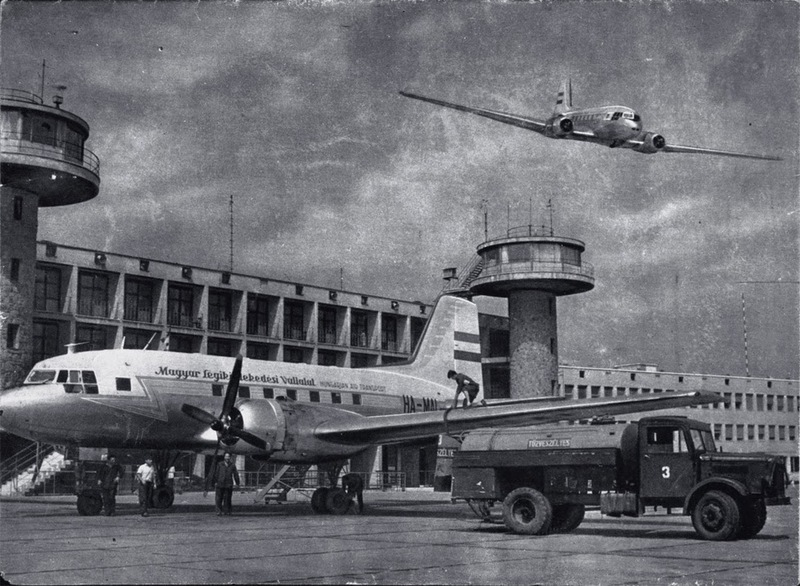 Both planes had full loads of 100 passengers, but the French did better financially. 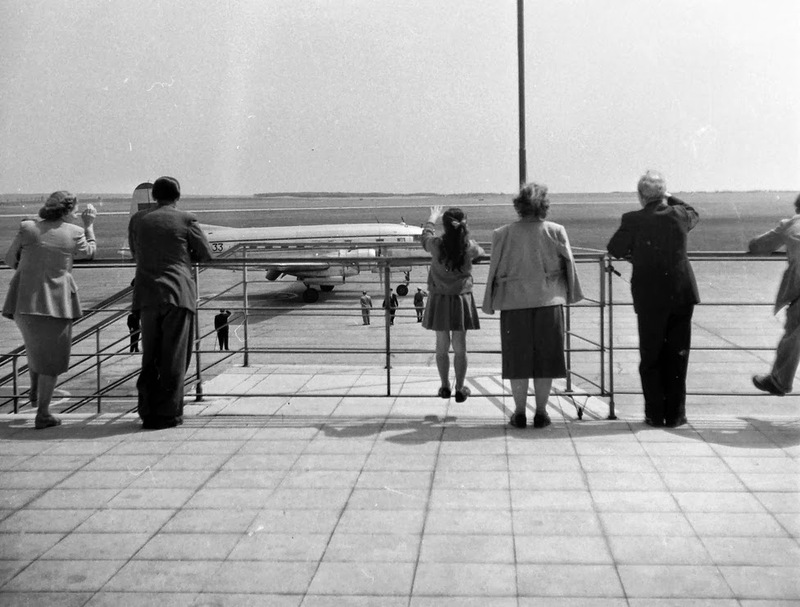 Ninety-three of their passengers were paying customers; only 28 abroad the British flight paid. The synchronized takeoffs were arranged so that neither Air France nor British Airways would be first into commercial operation with the controversial faster-than-sound jetliner that the two countries developed jointly. The Soviet Union got its Tupolev 144 supersonic jetliner into commercial service first on Dec. 26. inaugurating twice-a-week mail and cargo service between Moscow and Alma Ata, 2050 miles away in Soviet Central Asia. Soviet officials said passenger service on the run would not start until the second half of 1976, and there has been no indication when the Russians might start international service. France and Britain spent more than a billion dollars to develop the Concorde, but it will be a financial flop unless it can be used on the lucrative North Atlantic run. Permissions for two flights a day each to New York and Washington has been held up by objections from environmentalists and persons living in the neighborhoods of the U.S. airports, but Transportation Secretary William T. Coleman, Jr., is expected to decide by Feb. 6 whether the service will be allowed. 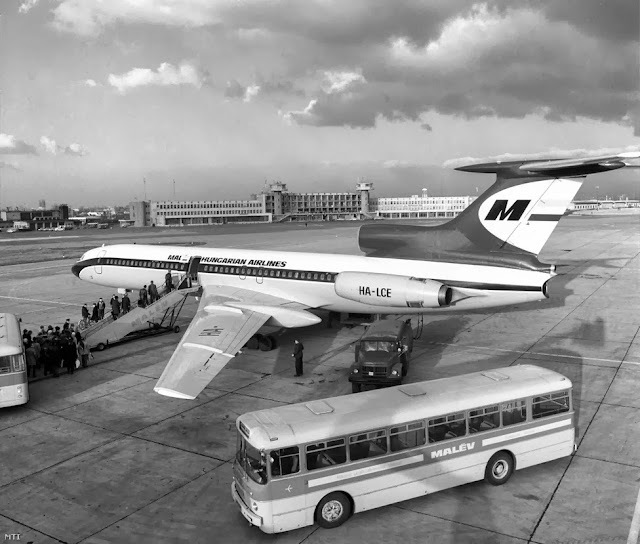 "INCREDIBLE," said the passenger who has flown on Concorde 582 times. "Super," said the Queen Mother. "A great thrill," said the test pilot. Concorde is 10 years old on Tuesday, but the supersonic aircraft still excites the imagination almost as much as the first day it took off. 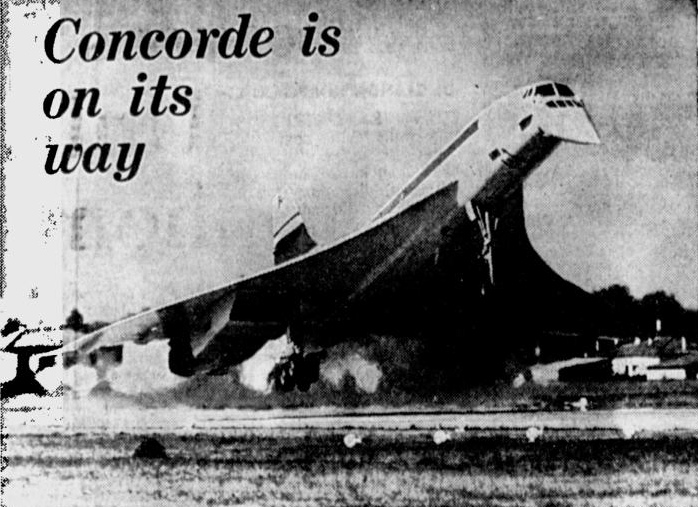 "Concorde is all engines and fuel." Although he thinks it is no more difficult to fly than other passenger aircraft, Mr Trubshaw, now 62 and retired from British Airways, says everything happens a lot faster in a Concorde. 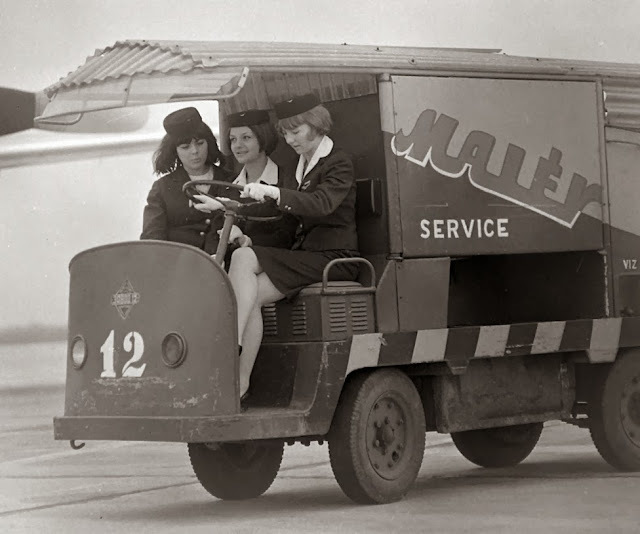 When the birthday celebrations take place this week British Airways will have a good reason to open the champagne. 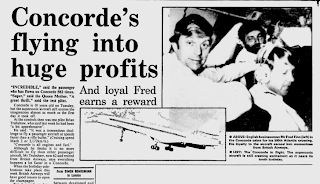 But it wasn't so long ago that the Concorde was scorned as an albatross which burnt money while passengers stayed with cheaper, more conventional travel. 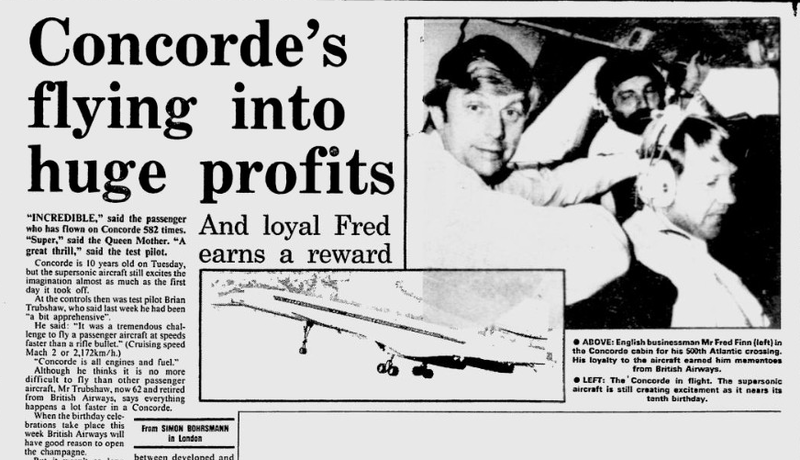 Today Concorde is making record profits. In its first year of operational it lost $4.6 million, which had become a $24 million profit nearly a decade later. P.s. : Az orrát azért hordja lent mikor a földön van, hogy a pilóták kilássanak. [New York] I turned 21 today. Irv Bauer dropped by. We chatted for a couple of minutes. He congratulated me on being a boy wonder and asked me what I had in the works. I told him I was writing a screenplay. "It’s a hard business," he said. Then he said: "I’m going to give you a gift." He thereupon recommended James Agee’s two books On Film. I thanked him profusely. I guess I’m supposed to buy the books myself. 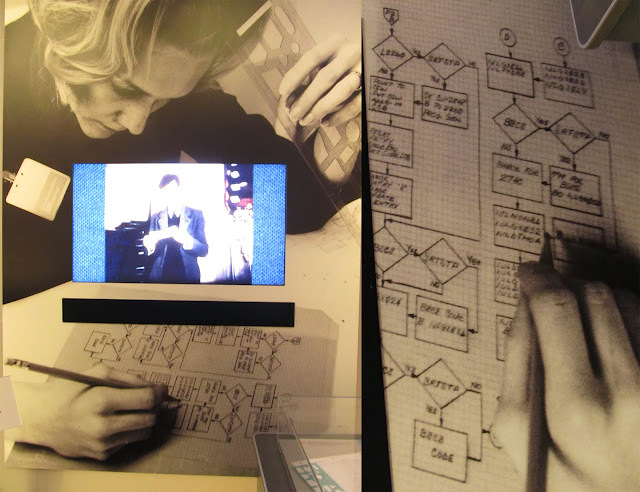 I saw Aviva o (to Australia via LaGuardia) and went to see Jules and Jim. Do I really want to write another game? 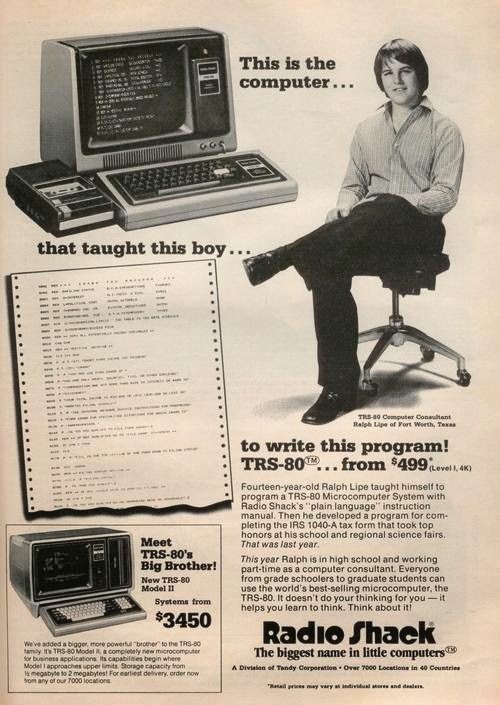 Can I do that and write screenplays at the same time? Can I write screenplays at all? I played the Gremlins soundtrack to evoke last summer and get me psyched about movies. It worked. Tomorrow I’ll write something. P.s. : Észak-Amerikában adták ki először, kudarccal. Csak később az európai és a japán piacon lett hirtelen nagy siker. A Ferihegy 1-es terminálja 2012-ben bezárt. Én sosem repültem onnan, pedig a fapados járatok az utolsó években sokat használták. Lássuk milyen képek maradtak fenn róla még új korából. Magyar Légiközlekedési Vállalat. Hm, már akkor is volt Photoshop? Légiutas-kísérők vezetnek a gépükhöz keresztbe tett lábbal. Nyamm, sós mogyi. A repülés mindig is érdekes volt. Főépület főterme akkor és most 2012-ben. Régen kávézók, most egy semmiből semmibe vezető piros szalagos elkerítés van, hogy érdekesebbé tegye a várakozást. A luxus váró rádióval, ami szemmel láthatóan csak közelről hallható a férfi és a székek elhelyezkedéséből ítélve. 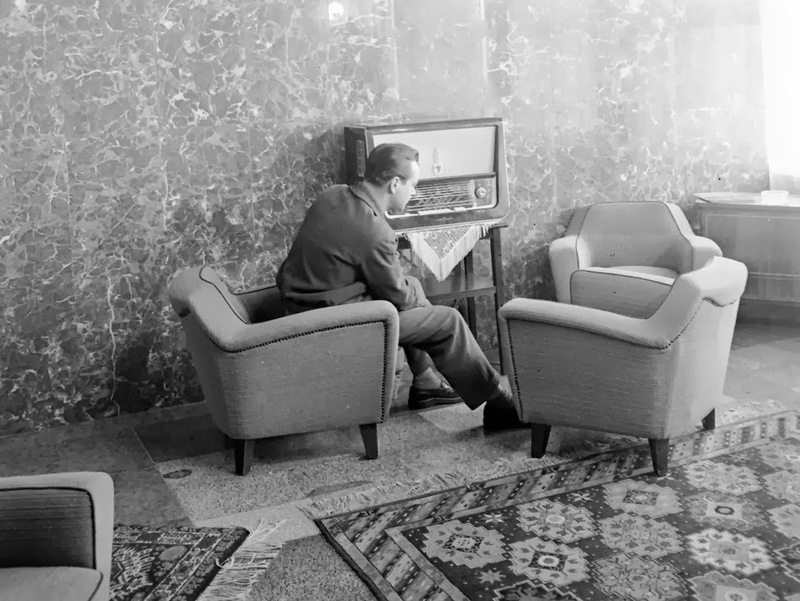 "Új" Malév gép, 1973. Ha jobban megfigyeled, lehet látni honnan készült a kép. P.s. : A repülés szerelmeseinek jó hír: még sok repüléssel kapcsolatos bejegyzés remélhető.